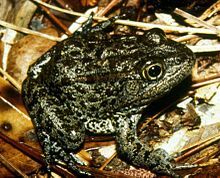 The dusky gopher frog is a beautiful and very rare species that needs human intervention in order to be saved from extinction. The frog is native to Louisiana where scientists hope to create a protected haven for the amphibian in order to protect it and keep it alive for as long as possible. Some local citizens, however, have no desire to spend their time protecting frogs, including business owners that claim that creating a sanctuary will decrease property value in the area and result in some heavy monetary losses. The Supreme Court has decided to hear the case and rule on the controversial action. Who will win? Frogs or people? Who do you support? Share your thoughts in the chat.